NJEA Vice President Marie Blistan, accompanied by Government Relations Lobbyist Osomo Thomas, testifies before the Joint Committee on public schools on Tuesday, Jan. 17, 2017. 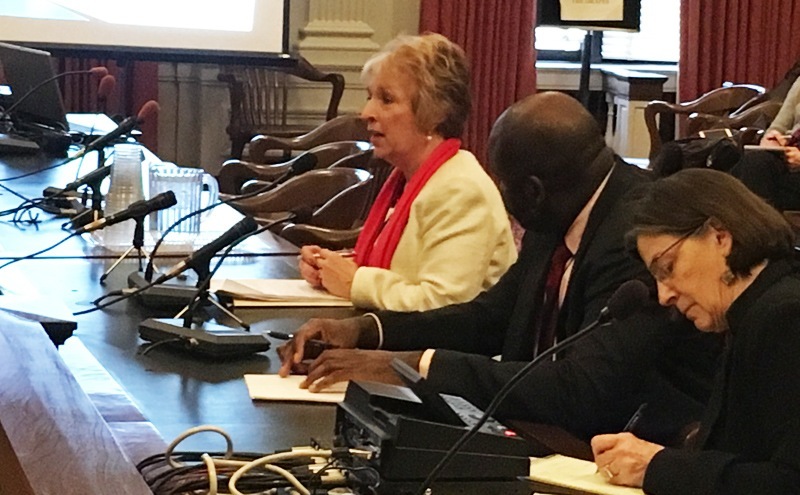 NJEA Vice President Marie Blistan today called on members of the Joint Committee on Public Schools to commit to fully funding the state’s existing school funding formula, known as SFRA. She pointed out that since 2010, SFRA has been underfunded by approximately $1 billion per year by the Christie Administration. As a result, school funding across the state has been distorted, leading to what she called “gross inequities” among districts. Blistan also noted that it is incorrect to say that the SFRA formula itself is the problem, because it has been neglected for so long. She told legislators that talk about how to “fix” the formula is a diversion, because the real problem is that it’s never been funded. Blistan criticized two competing school funding proposals, one from Gov. Christie and one from Senate President Steve Sweeney that purport to address problems with school funding. 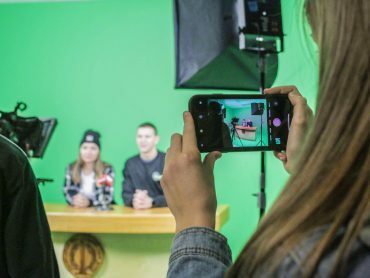 Both proposals would reduce funding to hundreds of thousands of students. 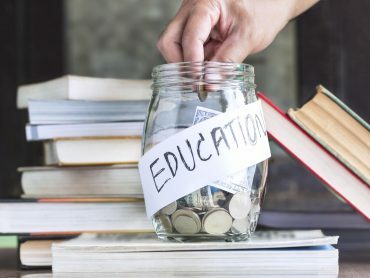 While Christie’s proposal is more draconian, Sweeney’s would reduce aid to approximately 715,000 students across the state. Both proposals would pit communities against each other and reduce funding too. Blistan was adamant that “choosing the lesser of two evils is not acceptable here.” She urged legislators to support a proposal championed by Assembly Speaker Vincent Prieto that would preserve the existing formula while also studying it to determine where it could be more effective. Blistan also called on the legislators to recognize the need to address charter school issues in any examination of school funding, calling for much greater transparency in how they report their finances. “Charter schools were never intended to create a separate system,” Blistan told legislators. 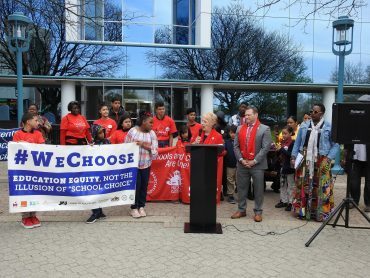 She reiterated NJEA’s call for a moratorium on charter school approvals and expansions until a full study of New Jersey’s charter school law and its effects over the last 20 years can be completed. She lauded Assemblywoman Mila Jasey and Senator Ron Rice for sponsoring a bill to put that moratorium in place. Here is the official NJEA testimony that was submitted to the committee. The following day, NJEA Secretary-Treasurer Sean M. Spiller testified on the same subject before the Assembly Education Committee, once again highlighting the need for legislators and the governor to fully fund the exiting school funding formula.